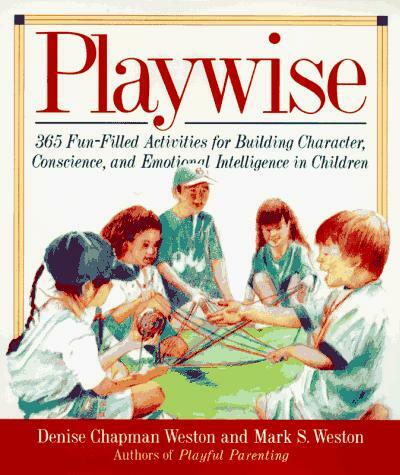 Playwise by Denise Chapman Weston and Mark S. Weston is the book I refer to most as a nanny. I use this book so much that the cover is worn, much of text is highlighted, and many of the corners of the pages are folded and torn. The reason I love the book so much is that in the tradition of the authors’ other book, Playful Parenting this book uses proven techniques based on the psychological principle that children learn best through play. Inside this book are fun activities to play with children to help them develop confidence, caring, and a sense of honor they’ll need to make their way in a the world. The creative and entertaining activities help instill basic virtues and emotional intelligence in children. Whether you’re parent or caregiver this book has hundreds of games and projects you can do with children to lay the foundation of self-worth upon which character and integrity are built. The activities focus both on elements of character-building such as unconditional love and acceptance, stability, and good role-modeling, and on developing character skills such as personal potential, moral awareness, and resourcefulness. I highly recommend this book to be a part of any nanny, au pair, and parent library. If you have a book you would like reviewed please contact stephanie @ bestnannynewsletter.com. Don’t forget to stop by next Saturday for another Weekly Trip to the Library. I bought these just wanted to say they are great!